An organized home is heavenly. 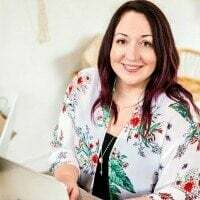 And, contrary to popular opinion, achieving home organization success doesn’t have to take forever or cost a lot. 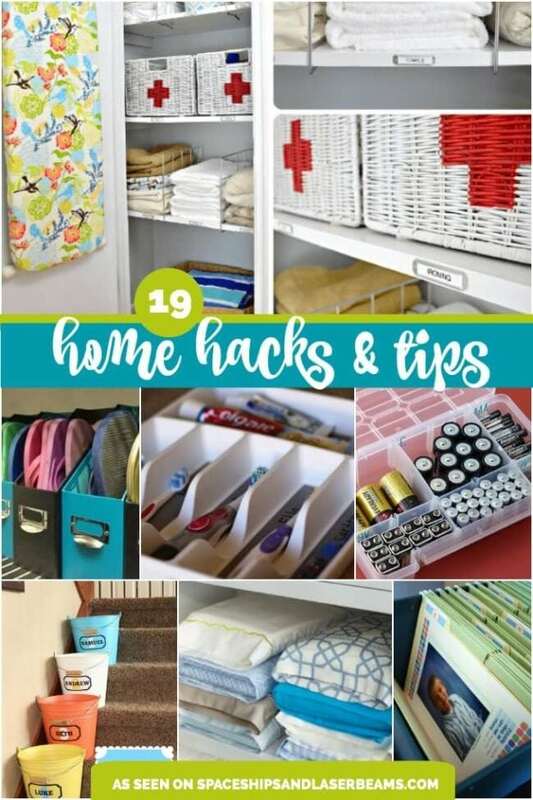 From a DIY homework or gift wrap station to creating a cleaning command center to organizing your Tupperware and board games, these roundup ideas can help you clear the clutter and get your home in tip top shape. 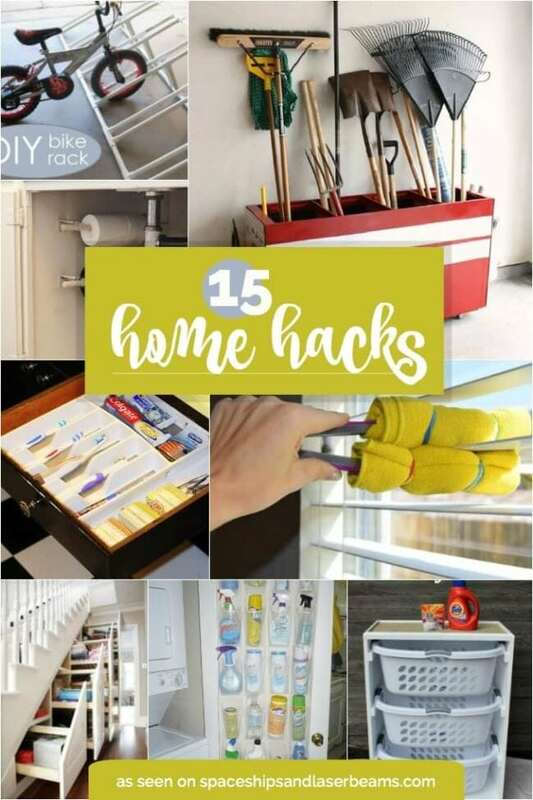 You must check out these 19 additional home hacks! These Extremely Clever Outdoor Toy Storage Ideas will help get all those backyard toys organized. Keep your family running at peak performance with these command center ideas. I just love pegboards as organizational tools, as they’re so versatile. 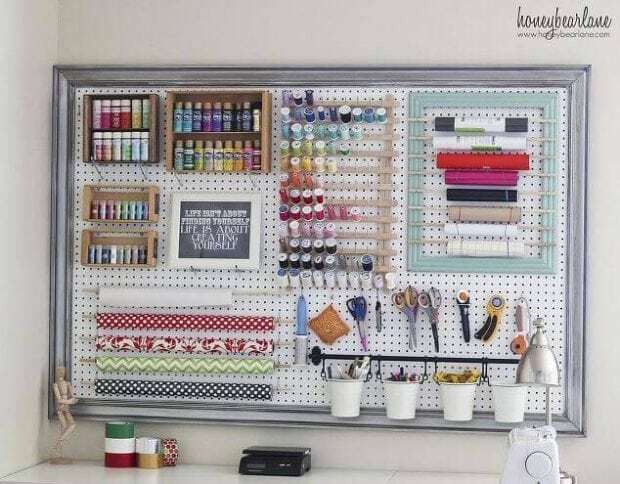 Take a look at this Craft Room Organizational Pegboard — it’s absolutely stunning and can be easily customized. This an especially awesome tip if you have younger kids. 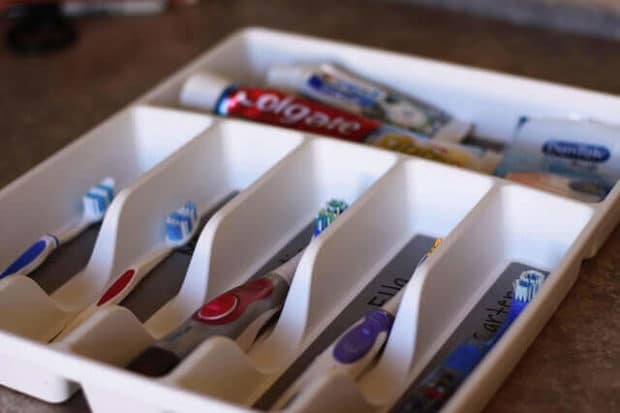 Just label each spot with a different name and pop in the corresponding toothbrush. 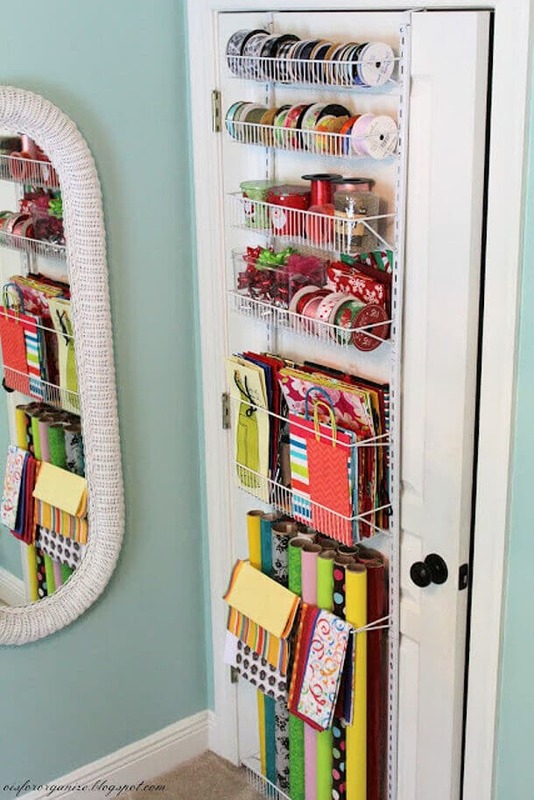 If you, like me, have a huge pile of wrapping paper and can never find the one you want, then this is the organizational tip for you. Just get a garment bag, pop in all your wrapping paper and voila, it’s organized. Linen cupboards tend to get disorganized pretty quickly, but this tip will totally have you bucking that trend. 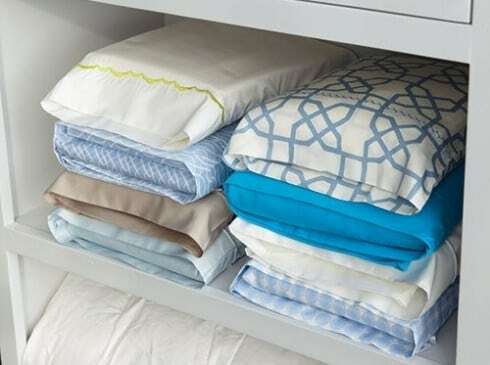 Store sheets inside their matching pillowcases and say hello to the most organized linen cupboard you’ve ever seen. 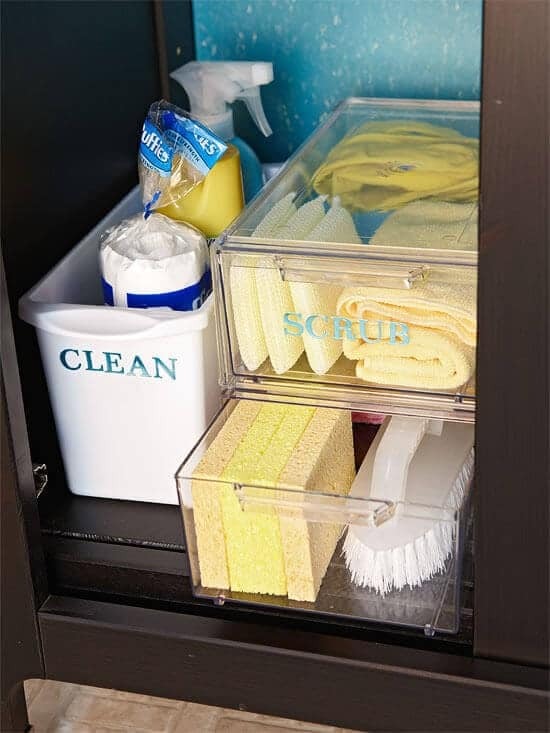 This Cleaning Command Centre is a brilliant home hack, keeping your cleaning products organized, neat, and out of your children’s reach. This Gift Wrap Station is a fantastic way to keep all your gift wrapping essentials organized and in one place, which is ideal for stressful birthdays and the festive season. 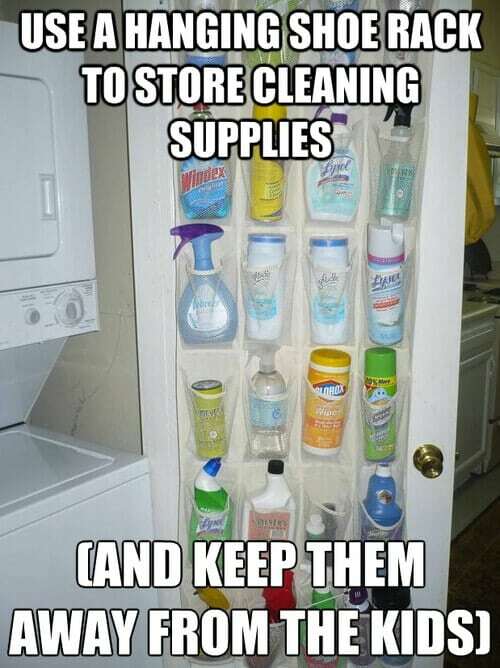 This is an awesome home organization hack, and is also a great way to keep your cleaning supplies away from your kids. How many times have you bought batteries, only to be running around looking everywhere for them the moment you need them? 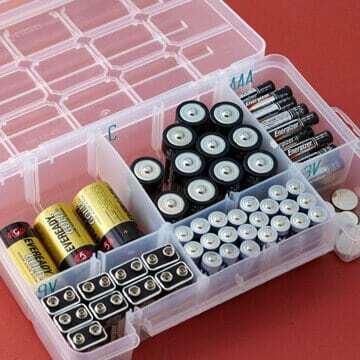 If you’re me, then this has happened many times, which is why I love this Tackle Box Battery Storage idea. 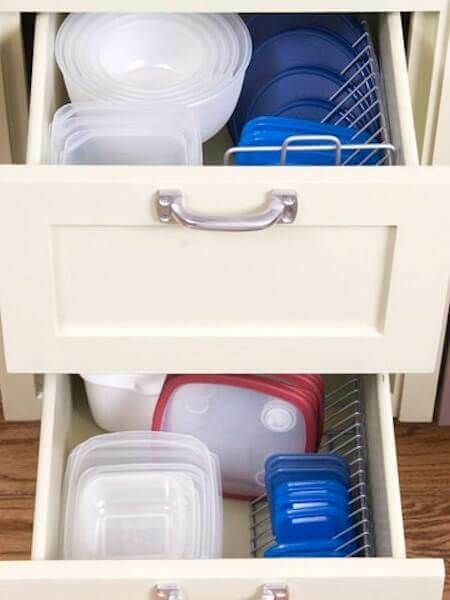 Tupperware drawers are near-impossible to keep organized, or so I thought. 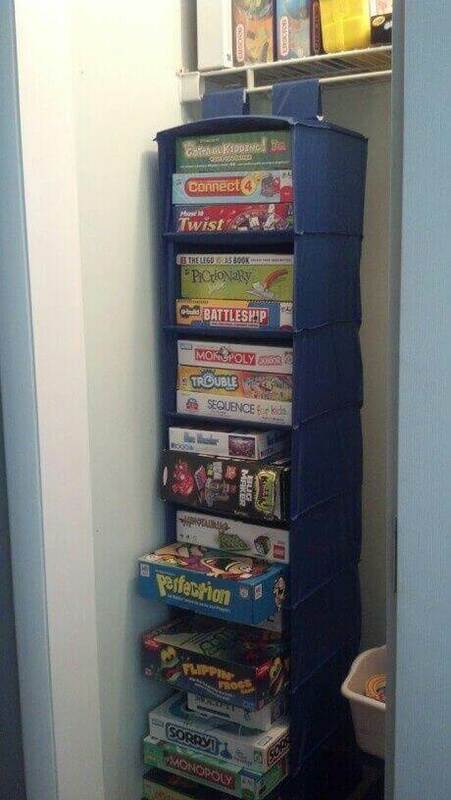 Just use a CD tower to store the lids, and stack the containers next to the. Incredible! This is a great home organization tip if you’re a techie family. 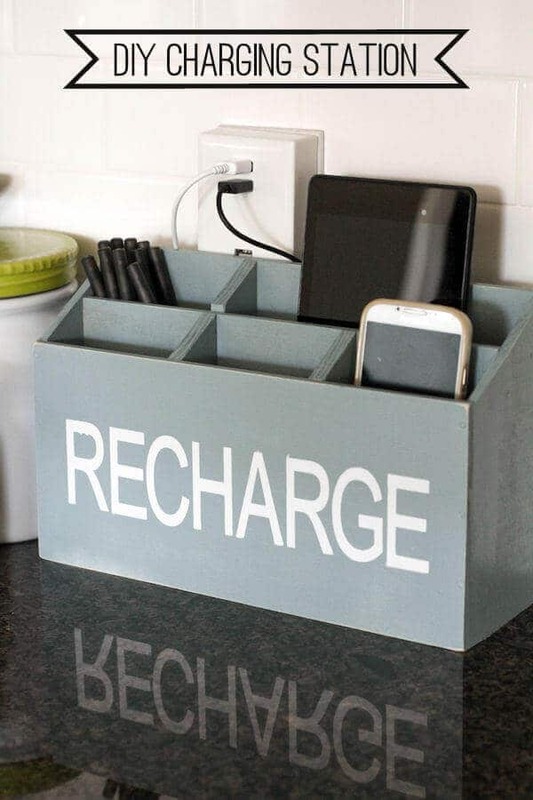 This DIY Charging Station avoids all the fuss of tangled cords and cables, and centralizes all your small tech in one area. 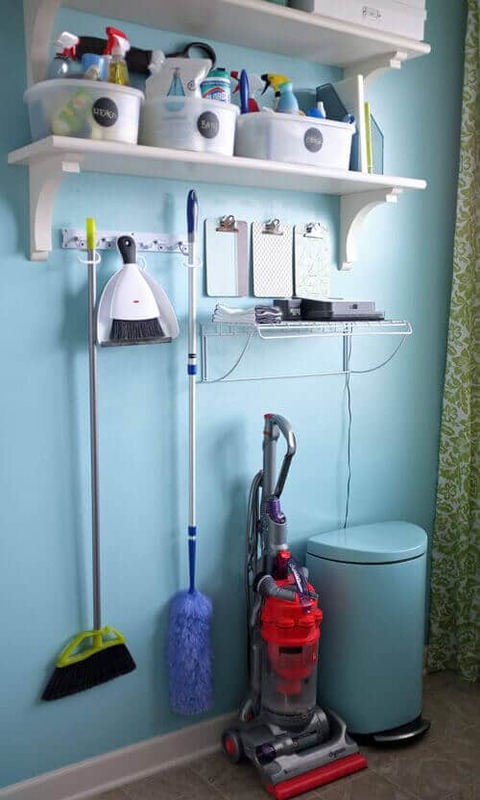 I absolutely love this idea for bathroom cupboard organization. 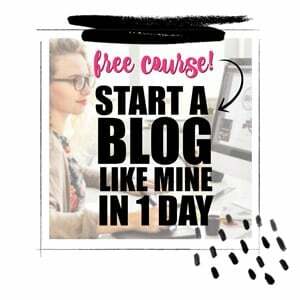 It’s a really good way to keep everything neat, tidy and organized, ready to clean. Don’t you just love the name? 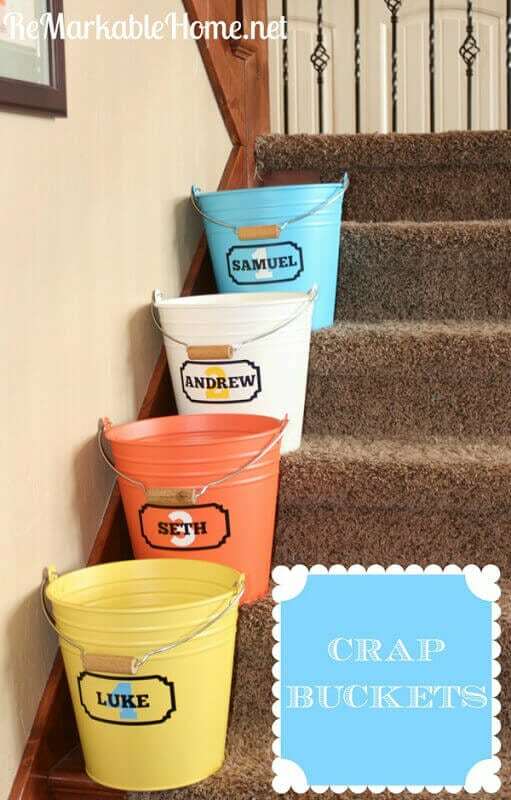 Crap buckets are such a wonderful idea, and are really cheap and easy to make. 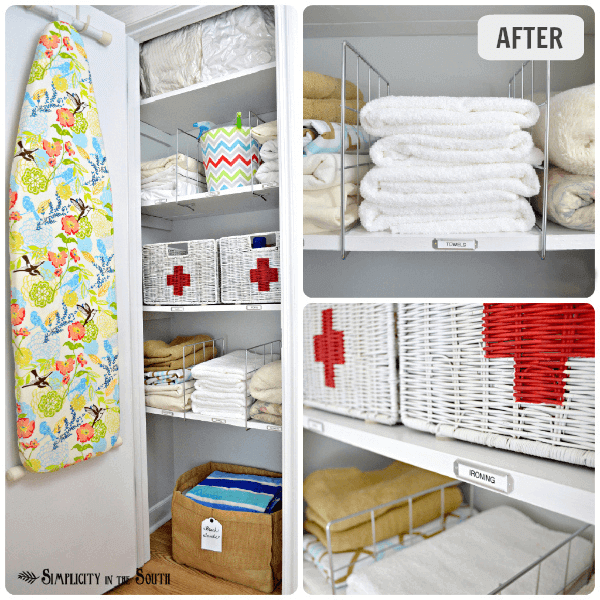 This is a fantastic way to get your linen closet organized, and keep it that way. The dividers stop piles from falling over, so things will stay neat for much longer. This DIY Homework Station is the best home organization hack if you have a few kids at the age where they’re starting to get more homework. Use the calendar to keep everyone’s dates straight, and hang everything that your kids need for their homework so that it’s all easily reachable. 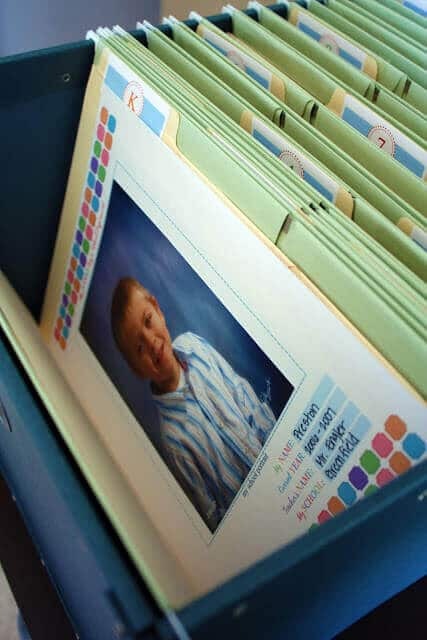 This is a really great way to keep all your kids’ important school tests, pieces of homework and documents in one place. 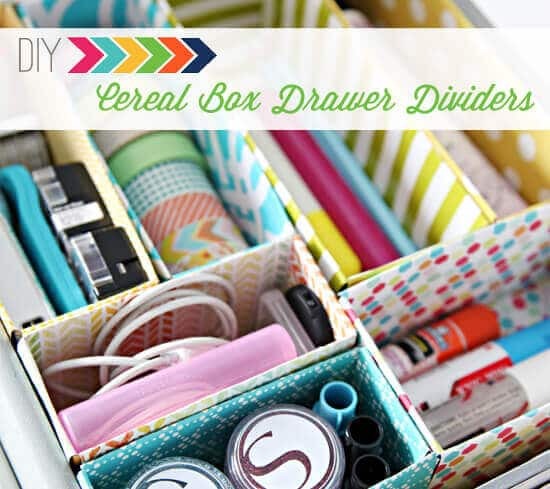 We love a bit of upcycling here at Spaceships and Laserbeams, so these DIY Cereal Box Drawer Dividers are right up our alley. Just wave your cereal boxes, but them to size, cover with the paper of your choice, and feel great about your super organized home. If you live in a warm climate or near the ocean, then chances are you have a lot of flip flops. Ever wondered how to organize them? With magazine holders, of course. 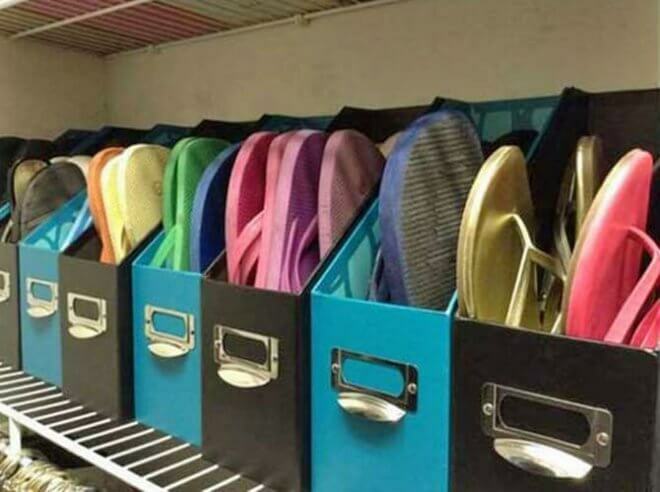 This is the home organization hack if you have a little bit of a shoe collecting habit. It’s the perfect way to organize and display your gorgeous shoes at the same time! Say goodbye to that messy games cupboard with this Sweater Bag Board Game Storage — it’s literally and figuratively a game changer. Take a peek at these awesome DIY wood pallet ideas.